Alvin Fred "Doggie" Julian (April 5, 1901 – July 28, 1967) was an American football, basketball, and baseball player and coach. He served as the head basketball coach at Muhlenberg College from 1936 to 1945, at the College of the Holy Cross from 1945 to 1948, and at Dartmouth College from 1950 to 1967, compiling a career college basketball record of 379–332. 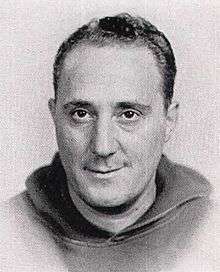 Julian led Holy Cross to the NCAA title in 1947. His team, which included later National Basketball Association (NBA) great Bob Cousy, almost repeated this feat in 1948, losing in the semifinals. Julian was engaged by the Boston Celtics of the NBA after his college success, but he recorded only a 47–81 mark before he was dismissed in 1950. Julian was also the head football coach at Albright College from 1929 to 1930 and at Mulhlenberg from 1936 to 1944, amassing a career college football record of 56–49–2. In addition, he served as Mulhlenberg's head baseball coach from 1942 to 1944, tallying a mark of 16–18. Julian was inducted into the Naismith Memorial Basketball Hall of Fame as a coach in 1968. Julian was born in Reading, Pennsylvania. He attended Bucknell University, where he lettered in football, basketball, and baseball, and from which he graduated in 1923. From 1923 to 1926, Julian played minor league baseball with a number of clubs: the Reading Keystones, the Harrisburg Senators, the York White Roses, the Chambersburg Maroons, and the Lawrence Merry Macks. Julian died on July 28, 1967 at a nursing home in White River Junction, Vermont. He had suffered a stroke the previous December in Rochester, New York while coaching Dartmouth in the Kodak Classic basketball tournament. ↑ "DOGGIE JULIAN, 66, BASKETBALL COACH; Leader of Dartmouth Team for 17 Years Is Dead". The New York Times. Associated Press. July 29, 1967. Retrieved December 9, 2011.